(San Antonio, TX) – Winter has arrived and as folks prepare to wrap gifts, they should also make sure that their walls are wrapped and protected from cold weather. Lack of wall installation, wall cracks, and air infiltration problems can all contribute to a cold and drafty home causing higher energy bills. CPS Energy’s Casa Verde program provides free home weatherization measures for low-income families with the intention that they will enjoy a warm and energy efficient home this season. The Casa Verde program recently received an additional $3 million dollars to help customers that are in need of home weatherization assistance. To date, the program has helped more than 2,500 home owners and renters and funding is available to help thousands more. Seals on windows and doors reduce air infiltration in the home. The application and home weatherization process is quick. 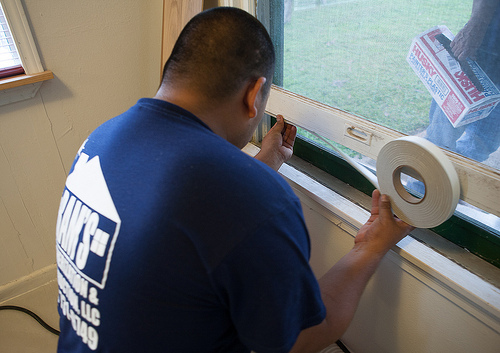 After qualifying for the program and the initial home inspection, the weatherization process takes approximately one to two days. The program is available to qualifying low-income CPS Energy customers who live in Atascosa, Bexar, Bandera, Comal, Kendall, Medina and Wilson counties. Customers interested in the program should visit the CPS Energy website. INSULATION PROVIDES GREAT ENERGY EFFICIENCY FOR HOME.Thanks for sharing.